For over 20 years at Import Sports Performance, we have been providing drivers in Denver, CO with the utmost quality and care when working on their vehicle. 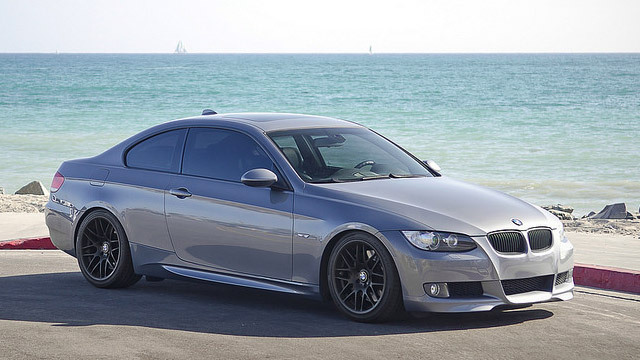 For BMW owners, there is no clearer choice than bringing in your BMW to Import Sports Performance. With ASE certified technicians you can leave Import Sports Performance knowing that your BMW is in great hands. We stay up to date on all trends relating to BMW’s and are now installing Cobb Stage 1, 2, and 3 on a multitude of BMW models. Our goal is to make sure our customers feel our sincerity and our passion every time they come into the shop. Denver, CO BMW drivers need to feel safe and secure when driving their vehicle. At Import Sports Performance, our priority is making sure you are feeling safe and comfortable after leaving our shop. We are also offering suspension upgrades that range from coil over kits to lowering springs. Our ASE certified technicians are trained and have a vast amount of knowledge on performing a variety of repairs on BMW’s. Maintaining your BMW should be of utmost importance. It is critical that BMW drivers in Denver, CO get their vehicle checked regularly with Import Sports Performance. By keeping a watchful eye on how your vehicle is running, we are going to be able to ensure that you are getting the most out of your BMW. Keep your eyes and ears open for warning signs from your vehicle; it will tell you before it needs to be serviced! Staying on top of your BMW’s service is what we strive for at Import Sports Performance. Denver, CO drivers will receive the best service at Import Sports Performance. At Import Sports Performance, trust is key. When looking into repairs for your BMW, other shops may try to beat around the bush, and attempt to have you pay for more than what you need. We only want to see you happy and safe, and that’s why we think about your priorities and wallet when working on your BMW. We are looking for a connection, a partnership with you. There’s no better place for Denver, CO drivers to get their BMW serviced than at Import Sports Performance.